Hrynevych is sure they do not violate Ukraine's commitments. 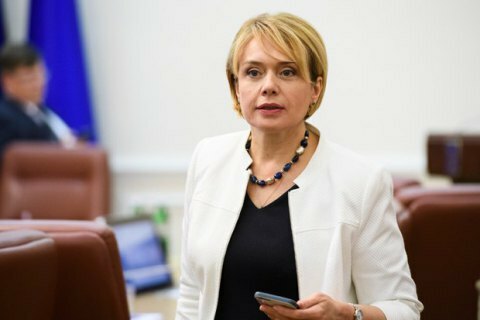 Ukraine is ready to submit the controversial language provisions of the law "On education" to the Council of Europe for examination, Minister of Education and Science Liliya Hrynevych said on Friday, 15 September, upon a meeting with the heads of diplomatic missions in Ukraine. "We are confident that this article does not violate the international commitments undertaken by Ukraine," the minister said. She said she hoped that President Poroshenko will sign the education bill into law while the language provisions are being examined. Deputy Foreign Minister Vadym Prystayko, in turn, said that the meeting was attended by ambassadors and representatives of embassies of 11 countries, as well as representatives of the EU, the Council of Europe and the OSCE. The new version of the law "On education" stipulates that children who go to school on 1 September 2018 will have the opportunity to study in their native language during the first four years. Starting with the fifth form, all subjects should be taught in Ukrainian. After the adoption of the law, Hungary, Romania, Moldova, Poland and Russia criticised the language provisions. Prime Minister Volodymyr Groysman instructed Education Minister Liliya Hrynevych and Foreign Minister Pavlo Klimkin to hold consultations on the language provisions of the law with ambassadors of EU member states. Groysman added, however, that Ukraine is a tolerant state and its policy fully complies with its international obligations, in particular with respect to minority languages. At the same time, the prime minister stressed that the issue of the state language, which should be applicable to the entire country, is no less important.